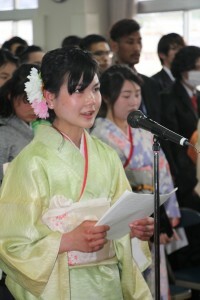 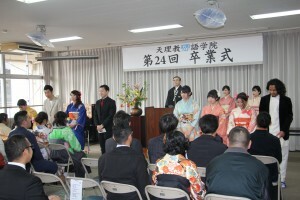 Tenrikyo Language Institute (TLI) held its 24th graduation ceremony on March 8th in honor of 59 graduates (Japanese Language Department, 39; Oyasato Fusekomi Department, 20). They were from 15 countries and regions: Indonesia, Thailand, Nepal, Philippines, Cambodia, Myanmar, Taiwan, South Korea, Hawaii, Argentina, Colombia, Mexico, Venezuela, Brazil, and Kenya. 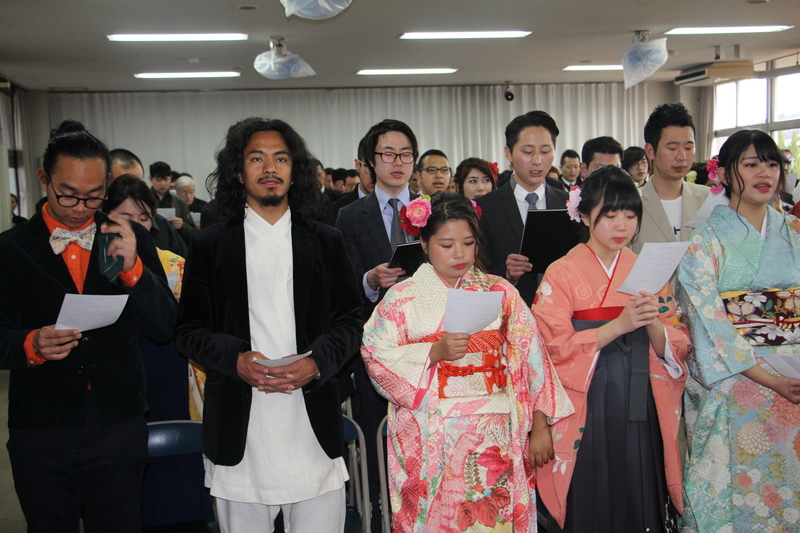 At the end, a representative from each department gave a speech expressing their appreciation to the staff members of the institute as well as their fellow graduates and set forth their resolutions to contribute to the overseas mission.